Protect your clients’ special memories with one of these beautiful album boxes from our exotic paper collection. A photo album isn’t just any old book to be sandwiched between other forgotten books on a shelf. For your clients, it’s their life, their history, and a tangible collection of their most cherished memories. It’s the thing that will get passed from parents to kids to grandkids. And when it’s protected in one of our exotic paper album boxes, it can even survive for generations beyond that. 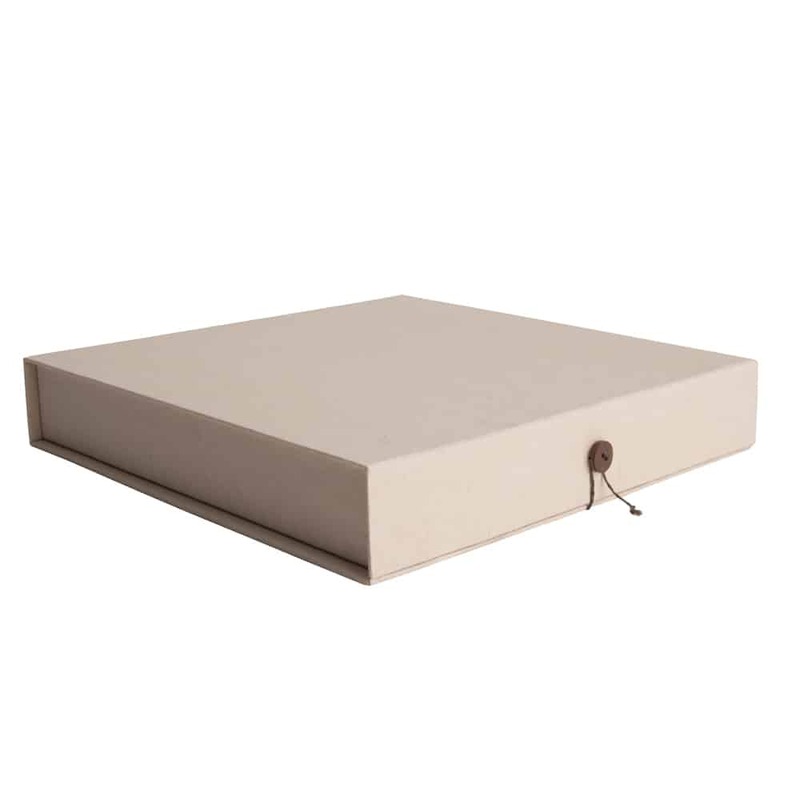 Your clients invested in you, and by delivering their photo album in one of these sturdy boxes covered in handmade paper, you will be making an investment in the happiness of their family. Capable of fitting a 10×10 album, or even a stack of prints or a framed print, the rigid cardboard walls will ensure whatever you put inside will remain protected. A waxed string is attached to the underside of the box, and circles around a coconut button to achieve a classy and tight close. Finish it off by having your logo or customized message imprinted on the boxes hinged lid in a medium brown color to add more impact to this gift.